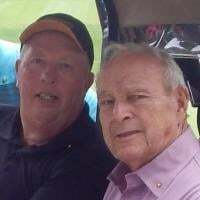 I currently have Tom Watson's Lessons of a Lifetime, Nicklaus' The Full Swing, A Gary Player tape, and one from Arnold Palmer. Lastly I have three tapes by Bob Mann Automatic Golf. 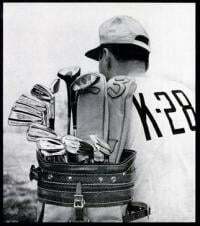 All of these tapes and DVDs are very good, imo, but the one that stands out to me as having the most practical information is the last one - Bob Mann's Automatic Golf. Anyone else have a favorite teacher / tape? I used to watch one called "How to play the game right", but lost it somewhere along the way, or gave it to our son. That too was excellent. I have Ballard's DVD, forget the name, featuring his instruction with Artie McNickle as pupil, probably late 80's, ?? 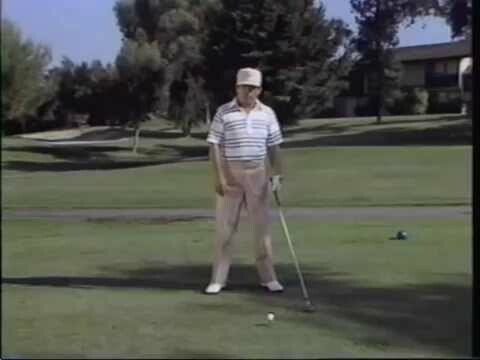 I'm self taught and have supplemented for years by watching old school golf videos. I actually enjoy just watching the video of the players for instruction moreso than instructional material itself. What initially inspired me to get into classic and vintage golf was a video of Hogan's round against Snead in 1964 on YouTube. This was when I was in high school. My buddy was obsessed with Tiger and I with Hogan lol. We were an interesting duo. I'm 29 now and playing only vintage; probably one of the few young people doing that. My wife says I have an old soul... Anyway, I'll find that his video I'm talking about and post it. I watch the Snead and Hogan match all the time, I love Sam's swing and his overall attitude towards golf. If you like vintage it is on youtube in force, Some of the GOlf My Way videos from Jack are on there, as well as old matches. Here it is, the one that got me started. I've learned a lot by watching these sort of videos. I posted this video a couple of years back. I see a lot of similarity between Armour's swing and the swing that is being taught by JUlian Mellor of Positive Impact Golf. Not exactly vintage but Maureen Madill on YouTube offers some really good nuggets. To me, there is nobody to this day any better than John Jacobs and his "Practical Golf" line of books and videos. The guy is a legend in Europe and was quite successful here in the USA for years with his golf schools. I always thought Greg Norman's videos were done quite well and pretty useful. I have a copy of George Knudson's The Swing Motion VHS tape. 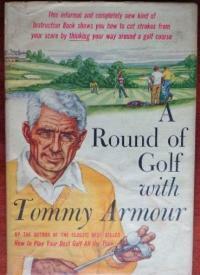 Done in the 1980s and still used by the Canadian PGA for most of its teaching standards. Excellent and well done video from one of the best ball strikers on the PGA tour in the late 60s-70s. Quite right,John Jacobs was a remarkable teacher whose contribution to golf was immense,my current favourite,Mo Madill,was a pupil and uses the old Jacobs' 'two turns and a swish' on her YouTube channel. In the 80s and 90s they would all put out instructionals. It has fallen out of fashion but would be much more cost effective nowadays when they could do it as a digital download and not worry about physical production and distribution and all the other middle men. I’ve recently finished converting more than 500 golf vhs to digital backups! At least they live on in little threads like these in the dark corners of the interwebs.